With Windows 8.1, the setting to bypass the new Start screen is buried. It isn’t in the Control Panel, or in the settings section of the Start screen. To find and use the hidden setting, first go to the desktop, not the Start screen. 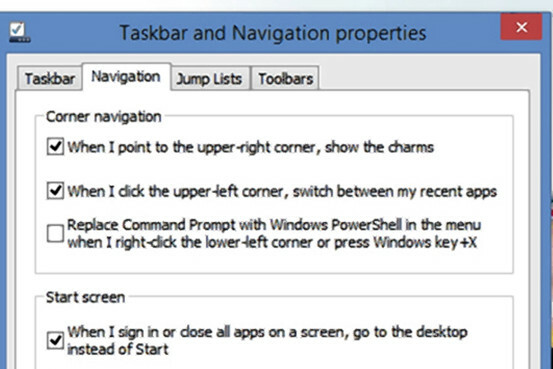 Then right-click on an empty area of the Taskbar at the bottom.